Once you’ve made the decision to give matchmaking a shot at finding your ideal partner, you’ll need to carefully select and team up with a matchmaker you can trust. With over 2,000 matchmakers in North America (1)alone, there’s a massive range of options that runs from utterly awful scams to excellent services that truly work. By understanding the risks at hand, you’ll be better armed to weed out the money-hungry matchmakers who could care less if you actually find love and, instead, discover the perfect fit for you. My matches are horrible, infrequent or non-existent. This seems to be one of the more common complaints you’ll see listed on review sites. I’ve also heard countless horror stories along these lines from past clients who pushed their skepticism aside and made the wise decision to give it one more shot with me. They’d heard big promises of lots of dates with “perfect matches,” paid hand over thousands of dollars, and then… crickets. No matches for ages, minimal updates (if any) from the matchmaker, and if you’re so lucky as to finally get a date, you have to wonder if the “expert” was even listening during the 2 hours you spent together before she started the search. She just set you up with the worst match ever! Before you even think about taking out your wallet, hop online and see what other customers are saying about their experience with that matchmaking service. If you can tell they’ve clearly been around for a while, yet you find few to zero negative reviews, that’s a very good sign. The service cannot cost more than $1000. The contract must be limited to 2 years max. A buyer may terminate their contract without paying a cancellation fee within 3 days of receipt of the written contract. Knowing the dating services laws of your state, and if there are any, is an excellent negotiating tactic. Google and ConsumerAffairs.com can also be your best friends when performing your due diligence on a service you’re considering. 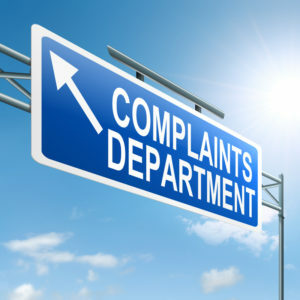 If you only find one or two complaints about a certain company, take them with a grain of salt and let the matchmaker tell you her side of the story. However, if the service has piled up negative reviews, do not proceed blindly and become another negative online reviewer. Just move on. If you meet with a matchmaker whose promises sounds too good to be true, be very wary. A good matchmaker will be honest with you about what to expect, and might even be skeptical about what she can do for you. The best ones will tell you when you’re not the right fit for their program. For instance, if you’re short, bald and far from rich, yet you’re adamant about only wanting to date blonde bombshells that are size 2, 5’11”, and bilingual, she should be skeptical. If she tells you she can match you with tons of women just like that, run. They use high pressure sales tactics. Like any other for-profit business, matchmakers want to make money. There’s no doubt that matchmaking is a thriving industry, to the tune of about $500 million a year. According to The Matchmaking Institute in New York City, the dating industry in general is worth about $1 billion in the United States, with personal matchmaking services accounting for roughly half of that revenue (3). The trick is to find a personal matchmaker who genuinely cares about you and your future happiness (rather than her sales quota). And they’re out there, you just have to look. The best way not to succumb to high pressure sales pitches is to expect them. Do your online research, read through the complaints, and think about how you are going to respond in the same situation. For a good example of high pressure sales tactics, go no further than the multiple bad reviews on Yelp of It’s Just Lunch in Seattle. Decide ahead of time what you’re willing to spend and the length of time you’re willing to sign up for, then stick to it. Be ready to hang up the phone or walk out the door. But with that in mind, make sure you’re realistic about what it’s going to cost. For example, if you’re in NYC, expect to spend a minimum of $500 a month for a couple matches, with some of the “elite” services costing upwards of $20,000 for an extended contract (4). How many dates can I expect a month? What’s your refund policy if I’m not happy with the service? Will I only be matched with other paying clients? What qualities do you have that make you a good matchmaker? What’s going to be your biggest challenge when it comes to finding my match? Matchmaking is a highly unregulated industry. Although the Matchmaking Institute offers a certification process, it’s part of a $1,500 home-study course they sell to make money and anyone can do it. But certified or not, not all matchmakers are ethical, professional, and effective, as complaint sites like RipOffReport.com and ComplaintsBoard.com illustrate (5). They’re a national service that advertises local offices without actually having a matchmaker in that specific area. They won’t tell you where they got your matches from when they set you up. A matchmaker is hesitant to tell you where she’s worked before, or if the company has ever operated under a different name. There’s not a single direct point of contact that will be assigned your account. For starters, claim your free “Matchmaker Secrets” report now. Because the more information you have, the more confident you’ll feel about hiring the right matchmaker for you. Once you read the report, you’ll realize I’m passionate about helping you choose the right service and maximizing your chances of finding love. In fact, I’m an ex-matchmaker with 10 years of industry experience, and I’m here to help you. No high pressure sales tactics, no obligations, no hassles – just a genuine desire to pair you up your ideal partner. That’s why you’re reading this, right? So why wait? Get your report here.